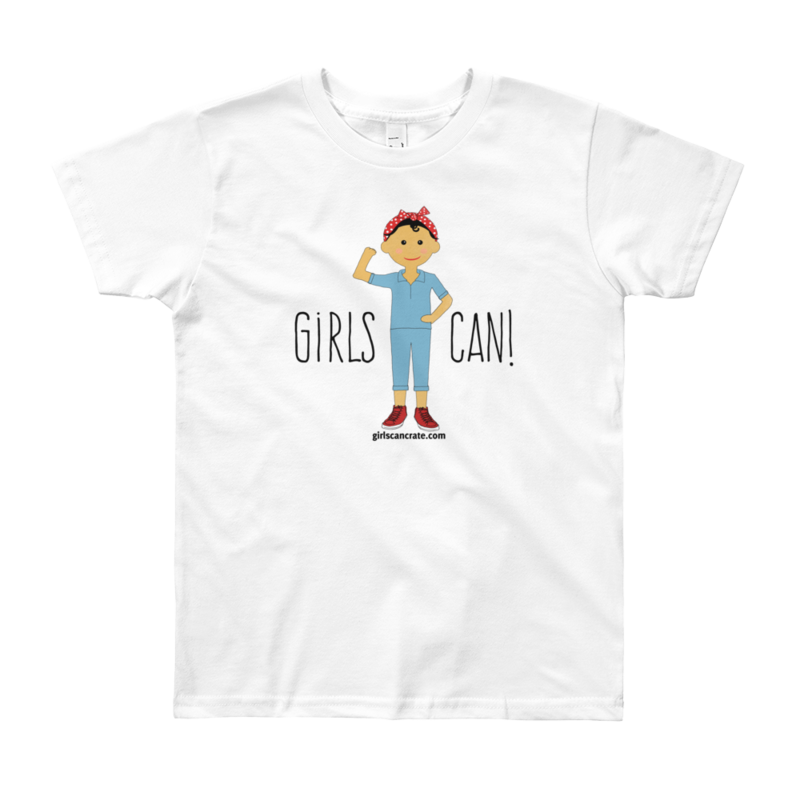 Little ones will love our Rosie and the reminder that they CAN do anything. 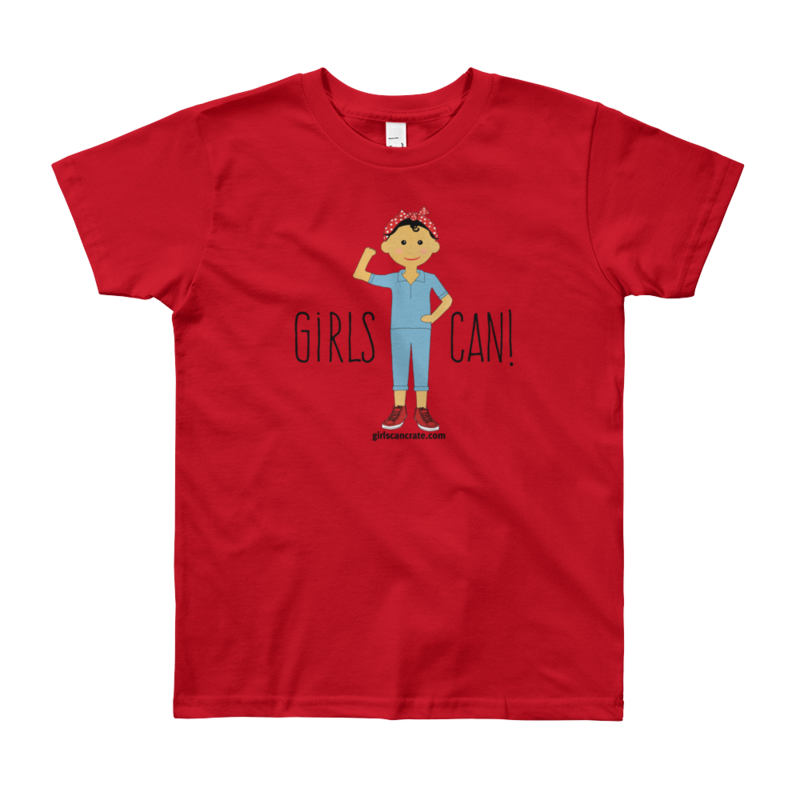 100% jersey cotton, super soft, unisex sizing, and designed to withstand lots of adventures, these tees come in red, grey, and white. 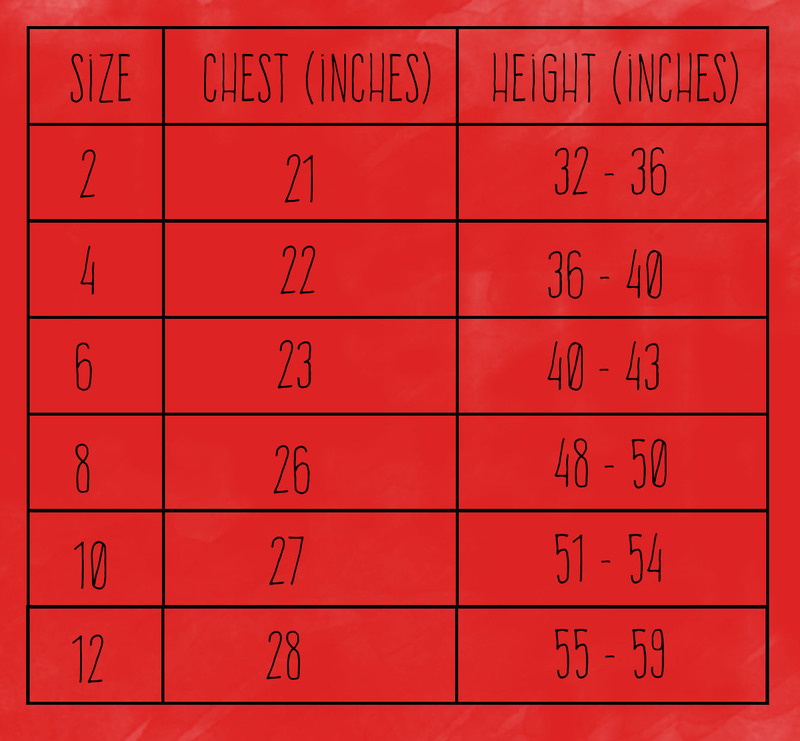 T-shirts ship differently than crates, please allow 2-3 weeks for t-shirts to arrive.